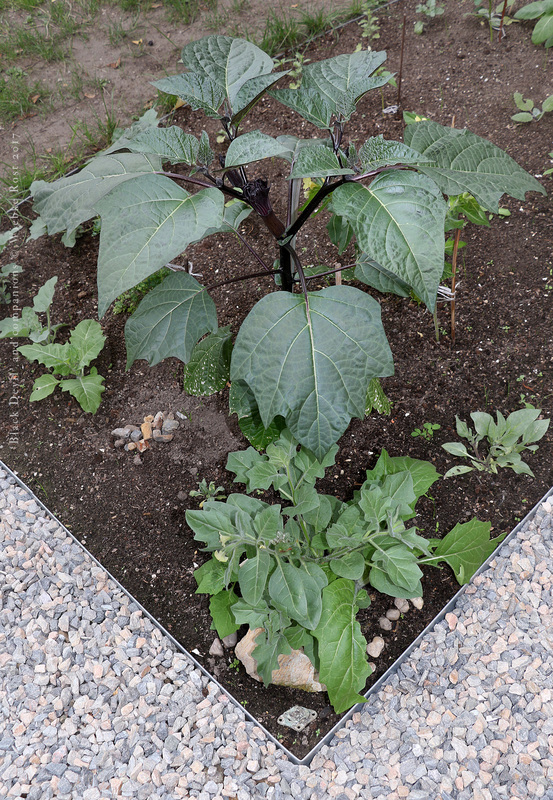 This is the wonderful Datura metel var. Fastuosa, with very dark/near black stems and flower buds. I have grown it from seed and planted it into the newly established flower bed only a few weeks ago.